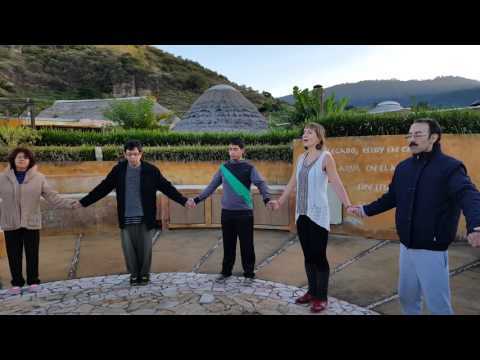 Charity project “CIRCLE HEALING PRAYER CEREMONY” saved more than 10 000 lives in 23 countries One can notice that the nature got furious for the last few years: flooding, hurricanes, earthquakes, tsunamis are shaking our beloved planet. Everyday catastrophes take away hundreds of lives and there is no guarantee to people who closed to as that this will not happen to them. Lets look around! What is the value of all things if everything can disappear forever? Let us find the answer together From the ancient time the humanity concerns that the power of pray creates the miracle. Mysteries of Krishna, Buddha, Mohamed, Jesus Crist, Shri Aurobindo the real example of this statement. The modern science also proved that human emotions is very strong energy which moves in the space more quicker than the speed of light. And this power can influence the energy of a human and the aura of our planet. Interesting fact, that the impact of this energy depends on the number of people who generate it. This explains why the rituals in ancient time were conducted with a big number of people. More people jointed the ritual, more powerful it was. CIRCLE HEALING PRAYER! the ancient ritual which exist more than 3500 years. Special method of unique ritual, which was passed by ancient priests, is now open to people. This ritual accumulates the special emotional energy of people and creates a miracle: people are healed, strikes and wars stop, earthquakes, tsunamis calm down. More than 250 000 of people already felt the healing power of CHP all over the world.